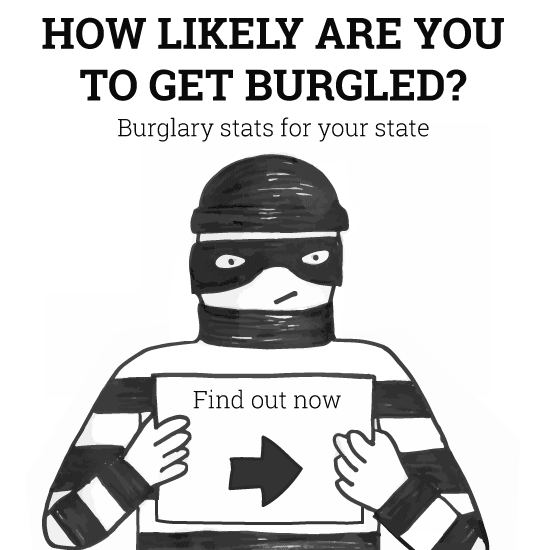 How Likely Are You To Get Burgled? Ever wondered the chances of you getting robbed in New York, California, New Orleans, and Alaska? Well this handy interactive infographic from the folks at SimpliSafe tells you in less than 5 seconds.